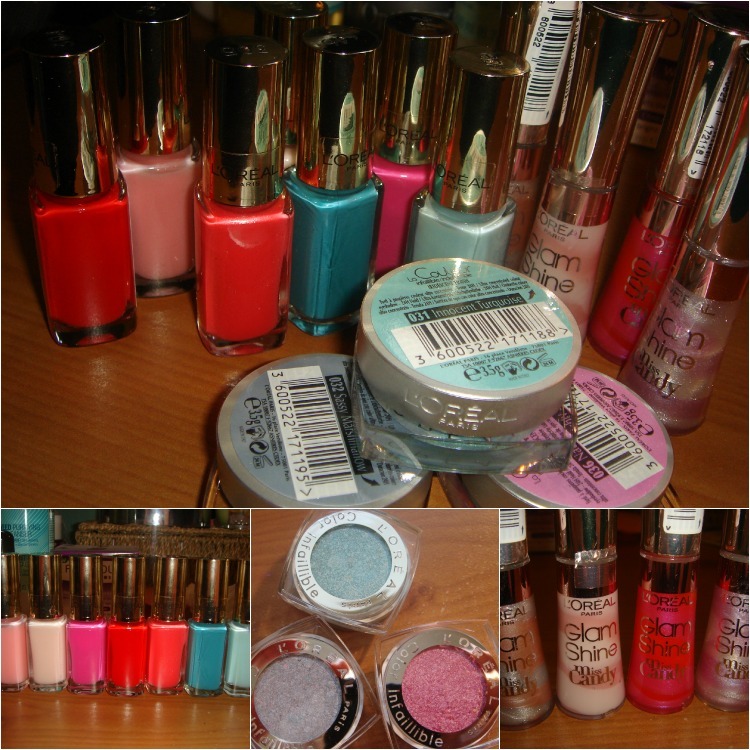 Sophsterlicious • UK Blog: L'Oreal - Miss Candy Collection. Surprise packages in the mail are always lovely. On Friday I got a lovely susprise from L'Oreal with some new products from their latest Miss Candy Collection, and a tub of old school sweeties, yum! I was like a child at Christmas, this collection is so me! It's full of candy summery shades and has some gorgeous products in. I got 7 of the nail polishes from the collection (£4.99). I ADORE these polishes, I first tried them when the L'Or Electeic Collection came out and I fell in love. They are a nice small size, the maxi wide brush makes for a perfect application and the colour range is amazing. Three of the seven shades I have are more sheer, the others are bright and in your face. I do like sheer colours too though, either for layering, or on their own. Here I am wearing 'Marie Antoinette' from the Miss Candy Collection. Just two coats, I think it makes for a perfect clean manincure look. Another coat would have been much more opaque, but I like it like this.. I own two glamshine lipglosses from way back - but these glosses (£7.65) are a swirl of two complimentary shades in a tube (they look like ice cream! ), so when you apply them you get a mix. They are quite sheer, but buildable and they smell great and feel very hydrating on. I adore the teardrop applicator on these lipglosses too, they make for such easy application! Thanks for reading, and you can expect more posts on these products in the near future! The products are available from Boots or Superdrug. Ooooo, you are lucky to have these in the UK! The nail colors look familiar so I think we may have those (and the shadows too?) but those lipglosses I know I have not seen. They look beautiful!